Die manufacturing is somewhat unique in the way it combines long standing knowledge of materials and manufacturing processing techniques with advanced technologies, using lasers and CNC machines. For those working in the field, combining these and other skills are par for the course in attaining the high level of expertise and knowledge required to produce high quality dies that do their job the right way time after time. There many disciplines that die manufacturers must harness and understand in order to be at the top of their field. The list is by no means exhaustive but the examples below give an idea of the breadth of knowledge and experience required to produce the highest quality dies. A die maker must understand characteristics of the range of materials used in die tooling and how they work together. A fine appreciation of tolerance expectation, durability, flexibility and other functional aspects can enables a die maker to push the materials to their limits and optimise die design and functionality. A wide variety of die components are available but where a client’s requirements call for a unique solution, fabricators need to be inventive and adaptable, producing bespoke die elements that achieve the desired results in the completed tool. Amongst the many skills and techniques required to manufacture effective die tooling is that of mathematical acumen. Many calculations are needed based on theoretical formulae and this has to be combined with knowledge and experience in the formulation of many decisions on a day by day basis. This holds particularly true for rotary dies. Their curvature lends additional challenges to die design both in respect of the die building process and in relation to the die cutting actions while on-press. While some solutions can only be arrived at with the use of grey matter other challenges are made easier with the use of computer technology. The most useful of these is computer aided design. Computer software can automatically converts the details of a design into NC code that can be read by machining equipment. Of course, as much as this technology makes certain tasks quicker and easier it still requires training and skill to use effectively and to get the design correct in the first instance. In die manufacturing the CAD process will determine most other aspects of manufacture so any errors made at this point will be translated into the final product. At Truform, we have skilled designers that can see opportunities for more effective designs as well as avoiding potential pitfalls. We try to “engineer-out” potential problems so that downstream processes and activities are not compromised. The design stage is also the point where greater efficiency can be made in the layout of the die. Variations on designs can be considered and proposed to achieve savings in terms of waste and material usage and performance. Design technology is of little use without equipment with which to execute the designs. Truform has always believed in re-investment and technological advancement. To that end, we have a range of die making equipment at our disposal that is considered ‘state-of-the-art’. 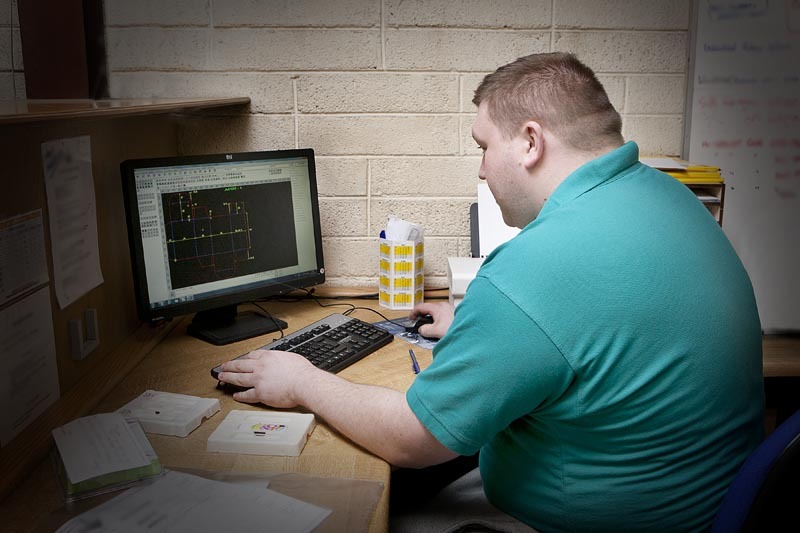 CNC machinery is used throughout our workshops. In die making these can be used for rule processing, counter manufacture, braille manufacture, stripper manufacture, rubber preparation and of course laser-cutting the dieboard. Lasers are the de-facto standard for die making today. A laser has much tighter tolerances and is accurate right across the die. It is also much faster and allows for other processes to be carried out in parallel thereby helping to reduce the process cycle time. The equipment available to the die manufacturer can result in more cost effective solutions for customers with faster turnaround. Reinvestment costs in this industry are inclined to be high, but the absence of key technologies is a clear disadvantage. At Truform, we have some of the best equipment that is available in todays marketplace. Experience brings these skills and technology together. With the skills and technology listed above dies can be produced with competence and consistency. Experience and knowhow binds all of the above elements together in a meaningful way so that dies are manufactured and supplied to exact customer expectation.